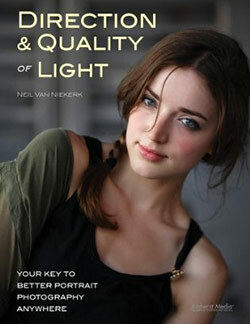 With this book, I wanted the material in the book to flow as a truly accessible introduction to off-camera flash. The techniques here are within the reach of everyone. As always, the aim was for those aha! moments when things become clear and just makes sense. And then, hopefully, inspire the readers of the book to see how easily off-camera flash lighting can expand our photographic repertoire. You can either purchase a copy via Amazon USA or Amazon UK. The book is available on the Apple iBook Store, and Amazon Kindle. and my choice of best photography books. On pages 49 / 50, the descriptions in the text for image 6-1 and 6-2 don’t match the numbering of the images. 6-1 is the image with flash; and 6-2 is the image without flash (ambient only). Despite this hiccup in numbering the images, the images themselves and descriptions should be clear enough that this would not have been misunderstood. On page 66, the first paragraph starts with “By angling the softbox away to a fair extent (images 7-8 and 7-8).” That second “7-8” should be “7-9” instead. On the same page, the second paragraph starts with “In the second example (images 7-10 to 7-14)…” The images should be 7-10 to 7-13. Image 7-14 is on page 68 and covers a different topic. Image 10-10 (page 101) .. was shot with flash, and not just ambient light. This means that the details for image 10-11 are also wrong. So the text of the two images were swapped around, and 10-10 isn’t available light only. Stay informed of new articles via the monthly newsletter. Also join us on the Tangents forum for further discussions. I do present workshops & seminars and also offer individual tutoring sessions. Excellent…. just ordered it, can’t wait! Congrats on the new book – if it’s anything like the 1st one I think we are in for s treat. Looking at Amazon.co.uk it lists the book as available on 26th May. Why such a huge delay? After reading your blog and your last book, I will certainly be purchasing this asap! Thanks again for all the great advice! YAY!! I just order both of your books today! Can’t wait to see you in May! I´m really looking forward to reading your new bok, Neil! Just ordered your new book! Woohoo! 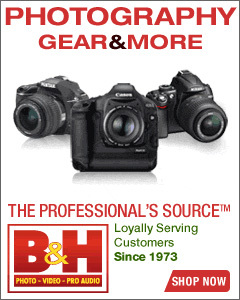 I visit your site every single week and you have really have a huge impact on my photography. I’m MORE than happy to send $30 your way for all the help you’ve given me! Keep up the great work and thank you very, very much! Just ordered and can’t wait to receive. Nice speaking with you at the San Antonio airport. It would be great to have your books as an ap as well. The order is in. Enjoyed your workshop, street shoot in NY and I’m sure I’ll enjoy and learn from your books. Got the On camera flash book so need this one too! Could you not have pushed your publishers for a quicker foreign release?? I look forward to it arriving anyway. Got my book from Chapters/indigo and I am in Vancouver, Canada. It is well worth its’ weight in OIL / GOLD or any other precious commodity. Like the 1st book, it is easy to read, understand and put to use. Remember to write a review on Amazon or Chapters in Canada. Neil has done so much for us, it is the least we can do. Thanks Neil. I received your book today, Off-Camera Flash, and it is exactly what I had hoped it would be. I truly am inspired by your work, your website, and the way you present the notion of lighting. Thanks for all your hard work!!! Thanks too for the cool autograph!!!! Hey all! I’m not sure exactly what the process is to get e-editions of books. But, if you are at all interested in getting electronic editions, please, please go to the Amazon link and request the book in kindle format. The more folks request it, the more likely it is to become available in electronic format. I’m not a pro and following your guidelines dramatically improved my pictures ! Thanks a lot and long life to you, Neil ! Being a new owner of an iPad, I just purchased your book on iBooks and it’s great! I had one question: are the images reversed on page 177? Based on your description on page 176, it sounds like the available light one is Image 10-5 not 10-4 as indicated in the caption. Again, great way to publish a book. I’m sold – any new purchases will be electronic. Love your blog and advice and would really like to get your 2 books on my iPad kindle. Your blog is fantastic and I really would like to purchase your books in kindle format for my ipad, but I am based in Thailand and your book are not available in this area. Not sure why as I purchased over 20 books on photography from amazon for my ipad but yours have so far been the only one with a restriction. I bought McNally and many others on amazon, why are your not available in asia? Any specific reason? I don’t really understand the restriction either, any explanation? Hi there Bernard … these things are out of my hands, and entirely up to the publisher and Amazon. Unfortunately I don’t control any part of that. The best might be to write to the publisher – Amherst Media – directly to enquire. Just ordered this book Neil – have your first one and it is excellent. 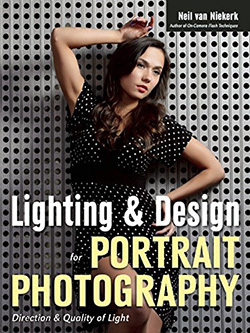 Thanks for sharing your lighting techniques – your first book was a revelation to me in lots of ways and I have been using flash for years !! Keep up the good work with this Web site and your books !! Hi! Just curious. Is this book a very intro on how to do off camera? I have NO CLUE on how to work or do off camera flash so I am looking for a very beginners off camera flash book. If this book is what I’m looking for I will be buying it ASAP! :) Look forward to hearing back and getting feedback! Shannon, I’m obviously biased as the author of the book, but I really believe it is one of the most accessible and clearly written books on the topic. The book doesn’t dwell too much on the hardware, but rather lingers on balancing flash with ambient light. All images were shot with a single flash. No complex lighting setups. What really sets this Book apart from any other, is the unprecedented level of support. I gladly reply to all questions posted on this blog and forum. So you’ll never be lost or left behind. I got mine last week from Amazon. . .This is the book that I have been waiting for. This is absolutely the best written, most comprehensive book on single flash use. Thank you, thank you, thank you! Harry … thank you for the kind words! If I could ask a favor, put the word out there via a review on Amazon. I’ve had several people tell me that my books aren’t available on Amazon’s Kindle anymore. So I double-checked with the publisher, Amherst Media, and received news that while my books aren’t available as a Kindle publication, they are available in a number of other electronic formats. We’re not on Kindle for now. We are on iPad, Nook, Kobo, Google Books and dozens of Android tablets and PCs through protected Pdf and ePub files. 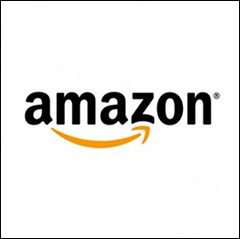 IPG, our distributor into bookstores and Amazon, is having a pricing issue with Amazon. Amazon is demanding that Kindle books sell for next to nothing, basically cutting out profits for authors and publishers. Amazon, as a threat, has pulled over four thousand books from Kindle including ours. IPG is working on it to establish fair terms and has the support of the publishing industry. Another issue is that the Kindle book quality is very poor. We encourage our readers to buy their eBooks from Apple or from Amherst Media direct. In fact, we are now having an eBook sale on our site. Our eBook quality is the best, books are in full color with page design features and page numbers. So that’s where we are at the moment. A friend has recommended your Off Camera Flash book. Looking to do off camera flash on the Canon system with wireless triggers. Do you go into and recommend any wireless triggers in book? Bipin, I purposely concentrated more on the techniques rather than the specific pieces of gear. The techniques remain fairly consistent over time, but equipment changes fairly rapidly as the technology changes. Just as an example, Canon has released a new speedlite – the Canon 600EX-RT, where the radio transmitter is built in as part of the speedlite. These kinds of things can’t be foreseen when writing a book. Ultimately, I strongly believe that if you have mastered the techniques, then the technology you apply is just another layer to this. Thank you for your taking the time replying back to my question. I fully agree with you, once you have learnt and mastered the techniques you can apply whatever technology is around. I learned my photography using film cameras, and use that knowledge using the digital cameras. I will order your book from amazon UK. I get into your site/blog at first for the Black Foamie Thing ;) I learned a lot of things there about flash photogarphy and I want to go further, so I just ordered your “two-books-pack” ! Thanks for all. I give you hugs from Christophe Baixas (from France), one of your fans who introduced me into the “planet neil” ! I juste received the two books. Thanks very much for the words you’ve written, they just sound “right” for me and my vision of photography. Being a crazy fan of your website for quite a while and I have learned a lot. I have bought your off-camera flash book and as I am living in developing country in South East Asia, my sensible choice is to buy the kindle version (electronic version). Frankly I was so much disappointed with the quality of illustration images, they were so tiny and in so bad resolution as they have spoiled my reading eagerness. I am using Nook tablet (600x1024px) with Kindle App installed. So please, ask Amazon to improve the images quality of the book as the content is great, as always. I still remember how amazed I am first time seeing the pictures you took on the website, the clarity and punching look made me spent a whole night roaming over your website. Duc .. the quality of the images in the electronic versions is something I’ve spoken to my publisher a number of times with. It is out of our hands apparently and up to Amazon in how they do it. But … somehow other books look better. I really don’t know. Hi there Ruben … the translations of my books are entirely up to my publisher and whichever other publishers they work a deal with. There seems to be a photo and caption error on page 36, image 4-4. Please see pages 35-37. In the second last paragraph on page 35, you state, “Compare images 4-2 and 4-4. Here I changed the aperture from f/2.8 to f/5.6—and the flash exposure (the light on the subject) looks virtually the same in each frame.” Looking at those images the flash exposure does not look the same. Image 4-4 looks darker not only in the ambient light, but also in the flash exposure light. On page 37, in the first paragraph, you state, “(Note: I did have my flash exposure compensation set to +0.7 EV for every image in this sequence…”). This statement does not agree with the photo 4-4 and caption on page 36. I think the wrong photo was submitted for 4-4. The photo should be of the scene with +0.7 flash exposure compensation, not +0.3. Though you were making the same point on page 37 as page 35, there seems to be a mix-up in the submitted photos. Possibly the photo and caption on image 4-4 of page 36 is not the intended photo? It does not support your statements. Thanks for a great book (even though there are numerous errors). Images 4-2 and 4-4 are, as mentioned, “virtually the same” in TTL flash exposure. There is a small difference, and that is the nature TTL flash. But it is pretty close for that drastic two stops change in aperture! The background exposure is obviously going to change by those two stops as we go from f/2.8 to f/5.6 and the difference is quite dramatic. 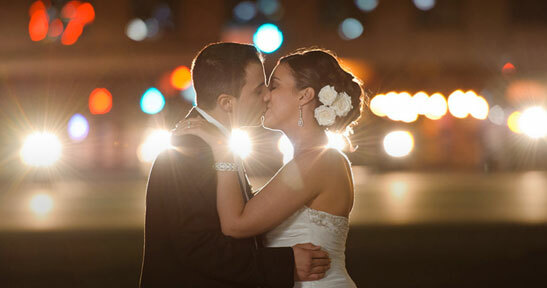 Any difference in the TTL flash exposure then, is minimal compared to this. Nowhere near in the order of the 2 stops change in settings. And that is the entire point of that explanation in that section – that TTL flash exposure follows our change in camera settings. You are arguing the one image had +0.3 FEC and the other +0.7 FEC, and you completely overlook or misunderstand the text there with a hyper-critical eye on the photos. I suspect what also influences what you see there as a change in exposure, is the way the fill-light from the ambient light affects the photo. As we drop the aperture, and the flash becomes more dominant, the ambient light becomes quite under-exposed, and this has less effect as a natural fill-light on our subject. 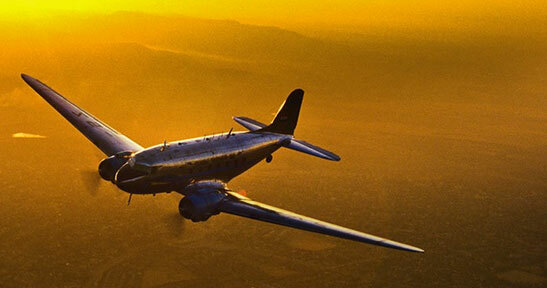 With that explained – I need to assure you the correct photos are posted there, with the correct captions. Thanks for the explanation, but there still is an error. Please re-read my second paragraph where I quote your text. The photo I referred to shows a caption stating +0.3, not +0.7, and the photo appears to support the setting of +0.3. The caption to the photo is a typo then. The FEC was at +0.7 for those two images, and had to be similar to best support the explanation of TTL vs manual flash. I am a wedding and portrait photographer I have been using off camera flash for years using manual flash for its consistency. Weddings have changed a lot in the last few years and we don’t seem to have the time for location photos that we used to have, hence I decided to study using TTL more often in my wedding photography. I stumbled upon your book and really found it inspirational. I am now using your TTL techniques to try and better understand and use TTL for my off camera lighting. I just have a question..I use nikon, 2 x D3S for ceremony and reception and D810 for location, SB910 speed lights. my question is when using nikon speed lights for off camera lighting using your technique, do you have them set to TTL-BL or just TTL? I have been getting inconsistent results and I think it is because I always have my speed light set to TTL-BL..when I have the speed light on camera as I prefer a balanced fill light when using on camera flash? Shawn … my understanding is that if you use the Nikon wireless flash system (or another way) to trigger the slaved flash, then the Nikon defaults to TTL mode. Try it with two Nikon speedlights – set the one to Master and the other to Slave, and see if you still have the choice between TTL and TTL-BL. In any case, here is my take on the difference between TTL and TTL-BL with Nikon flash. 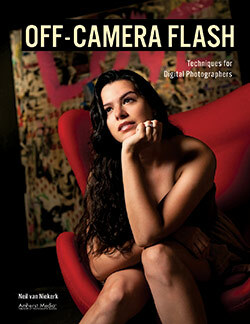 Bought your On-Camera Flash book (revised edition) and loved it. Is there any chance you’ll be updating this one? Nothing planned at this point.